If you make your living as an insurance agent, I immediately know a few things about you. First, I know that you care about people and you value being able to help them manage their risk so that they can protect themselves, their businesses, and their families from unforeseen misfortune and catastrophes. I also know that you are a person with great attention to detail. You have built your business and your livelihood on your ability to match people with the insurance products that will help and serve them best and you have developed the skills to notice the individual details and circumstances that make each client unique. 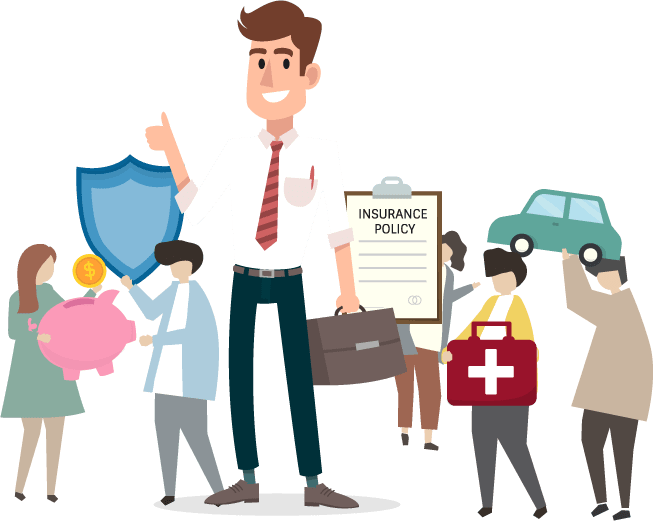 Perhaps you have built your career in insurance as a captive insurance agent, but these two characteristics of personal care and attention to detail are the very attributes that make becoming an independent insurance agent the next logical step in your career. As you know, being an independent broker will allow you access to many different insurance companies and give you the ability to help more people with a broader array of services. Instead of being limited by your company’s offerings at a fixed price, as an independent agent, you will have an arsenal of products, coverage options, and pricing models to help you best meet the needs of your individual clients. Being an independent agent allows you to better customize your products and risk management tools to exactly fit your clients’ needs, budgets, and coverage concerns. I started my career as a captive agent, but I always felt frustrated by my inability to design an insurance portfolio that gave my clients exactly what they were looking for. I knew many times that they could find cheaper options that aligned better with their priorities somewhere else. I wanted to provide the best possible service to my clients, and being a captive agent always left me feeling like I hadn’t done everything I could to serve my client. My hands were tied. Indeed, being a captive agent can sometimes feel a bit like captivity. Your hands are tied by what you can offer your friends, family, and clients. You are sometimes held to arbitrary quotas to sell insurance products you don’t necessarily like or you have to endorse options that don’t make a lot of sense for a particular client. Your options are limited both when it comes to the price and the products you can offer. As someone who went into the industry to help people improve their financial lives and manage their risk, becoming an independent broker made the most sense to me. If your goals include being able to offer your clients exactly what they need, rather than worrying about what your carrier needs, then becoming an independent agent is exactly the right move for you. company you work for? You can remove the limits and restrictions you currently have, and instead be able to use multiple tools at the best prices to better meet your clients’ needs. Being a captive agent is a bit like having only one arrow in your quiver. If you use that arrow and miss your target, you are out of luck. But with a quiver full of arrows, you have a better chance of hitting the bullseye and securing the right insurance policy for your client. The power of being an independent agent comes in being able to offer many options at various price points, all so that your client can make the best choice for themselves. As an independent agent, you will have the comfort of knowing you can always offer what is best for your clients while making a comfortable living as an insurance professional. You’ll be amazed at the joy this freedom will give you in your career. We know this is true because most of us at IPA were former captive insurance agents ourselves.Earn back your freedom by becoming an independent insurance agent. Currently, about 30% of all insurance agents are independent insurance agents. One of the biggest factors holding agents back from the decision to become independent is financial. Independent agents make their living 100% by commission and are often responsible for their own overhead and marketing costs. This can make becoming an independent agent feel riskier than staying a captive agent. The truth is you can actually make more money in commissions as an independent agent. Typically, commission ranges for captive agents writing home and auto policies range between 5-10% of the premium. For example, a $1,000 auto insurance policy with a 10% commission provides the agent with $100. 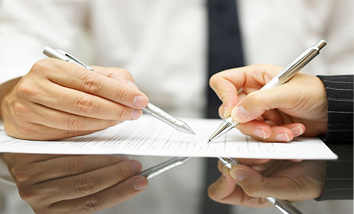 Agents work to build up their book of business by writing policies and relying on renewals. Captive agents also might get paid a salary as they work to build their book of business. But, one important point to note is that renewal commissions for active agents tend to drop after the initial commission. In this case, over the three years, this captive agent made $240 on this policy. 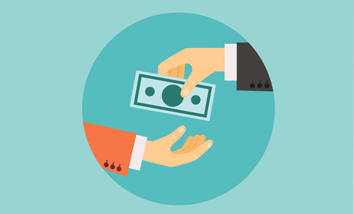 Independent agents, on the other hand, are paid primarily on commission. There is no salary provided as you build your book. For independent agents, the more clients they help and provide policies for, the more money they make. Generally, commissions for independent agents are higher than they are for captive agents, usually between 15-20% of the premium. In many cases, this can more than double your previous commission percentage. Not only that, but renewal commission percentages usually remain the same year after year. If we use the same $1,000 auto insurance policy as our example, assuming the independent agent’s commission at 15%, the policy would earn the agent a commission of $150 rather than $100. Over time, the differences in commissions become even more clear. Over these same three years, this independent agent earned $450, almost double that which the captive agent earned. Clearly, the earning potential as an independent agent is much greater than as a captive agent. One of the primary concerns for all insurance agents is attracting customers. When you work as a captive agent, carriers have large marketing budgets to help generate leads for their agents. This can be an advantage when you are first starting out and building your book. Often this means that agents don’t have to do a lot to generate leads. However, while you do not have a large-scale marketing program in place as an independent agent, you do have an advantage in flexibility. 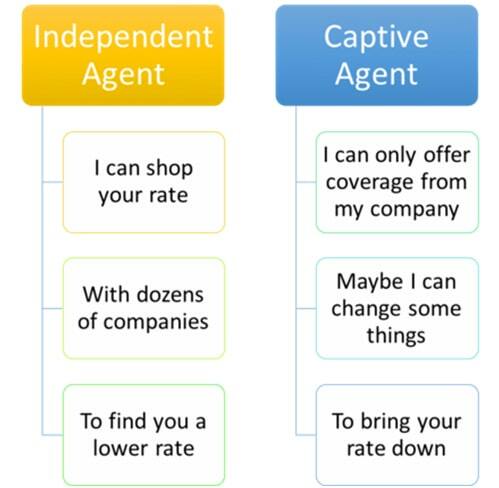 If a captive agent has a client that wants a different option or doesn’t want to renew their policy at the current premium rate, no amount of marketing or Super Bowl commercials is going to help that client want to stay with the carrier. When they look somewhere else, it is likely the captive agent will lose both the client and their commission. Many times, captive agents lose clients simply because they have so little flexibility in price or policy structure. No matter how easy it was to generate the lead, if you can’t keep the client long-term it doesn’t really help you build your business. 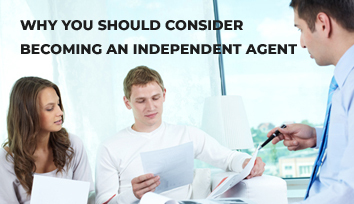 On the other hand, as an independent agent, you have much more flexibility for your clients. When it comes time for renewal and the policy is no longer meeting the client’s needs or budget, you have lots of options to keep the client and their commissions. You can shop their policy and provide more choices for them and the likelihood of keeping the clients you have acquired goes up greatly. This is a huge benefit to you as you build your book of business. There are so many benefits to becoming an independent insurance agent, but there is an important consideration to keep in mind as you think about making this change. As an independent agent, you will need to set up and establish relationships and contracts with a variety of different carriers that you would like to represent. As you do this, you will then have responsibilities to each individual carrier. For example, each insurance carrier will establish certain production requirements for you to meet in order to represent their company. The more carriers you offer, the more commitments you will then be responsible for. As an independent agent, representing multiple companies is what sets you apart and allows you to shop multiple offers for your clients. Therefore, you want to represent as many companies as you can because the more you have, the more competitive you will be. Of course, this has a downside as it may be difficult to meet so many production requirements and it may be stressful when those carriers come asking for more production from you. That is why you should join the team at Insurance Professionals of Arizona. 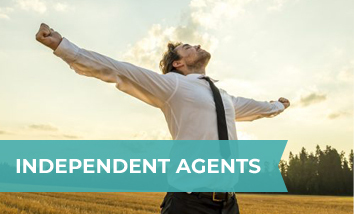 IPA has established a turn-key operation making it quick and easy for you to transition from being a captive agent into being an independent agent. By joining IPA, you have access to the best insurance companies in the industry and you are not alone in trying to meet production requirements. With over 40 independent agents, IPA is able to meet the production requirement of all the various carriers as well as limit individual stress and overhead costs. In fact, because we are so efficient at meeting and surpassing carrier production requirements, IPA is sometimes offered higher commissions (as much as 20%) than the going market rate offered to other agencies. Facebook and other interfaces to generate leads. 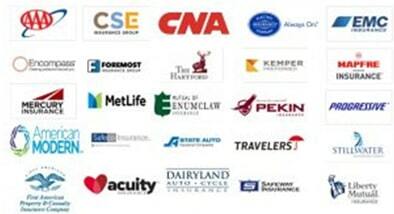 Here is a sample of just some of the carriers you will be able to write business with when you join Insurance Professionals of Arizona. As you can see, we are able to represent a wide range of companies and products and this makes us extremely competitive. By representing so many companies, we are able to offer every client the absolute best options available for their insurance needs, every single time. Keep in mind that all of these relationships are already established. When you join IPA, you have immediate access to these companies and their products. This gives you a huge advantage as you start your career as an independent agent, reducing stress, worry, and legwork. With access to so many companies, you can hit the ground running and provide your clients with an incredible amount of options and competitive offers to meet their insurance needs. So, what are you waiting for? 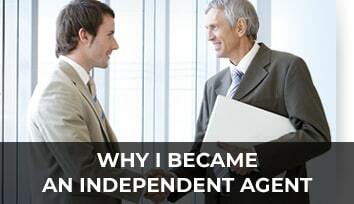 The benefits of becoming an independent insurance agent are significant. You can achieve greater flexibility for your clients, better meet their coverage and financial needs, and improve your ability to retain your clients. You also have the opportunity to earn higher commissions both initially and with every renewal. With IPA, you have access to an established network of insurance providers and a team of other independent agents to help meet production requirements and a wealth of resources to help you be successful. Most importantly, you have the opportunity to remember why you became an insurance agent in the first place: to help people manage their risks and live happier lives. As an independent agent, you can do this better than you ever have before. Now is the time to become an independent insurance agent. Take back your career and earn back your freedom. Call 480-981-6338 for more information today.